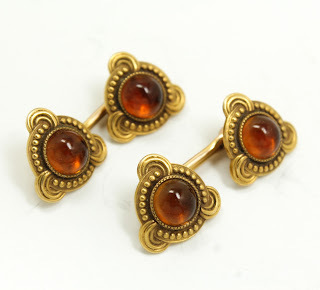 Here are a beautiful pair of unmarked 14k and citrine cabochon cufflinks that recently came from a local estate. 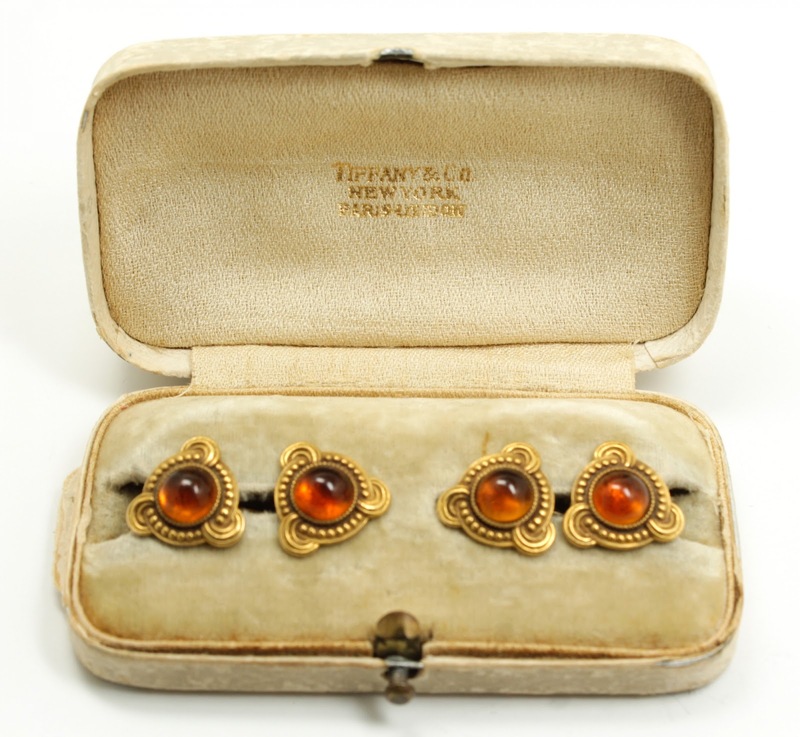 They arrived in a Tiffany & Company box that the cufflinks appear original to. Stylistically, these cufflinks appear related to the decorative motifs in Tiffany objects from the early 20th century. However, original pieces of jewelry designed and made under the direction of Louis C. Tiffany are uncommon, under-documented, and, we would typically expect such pieces to be clearly marked as made by Tiffany in some manner. There were also other firms such as Marcus & Co. during the same period making similar designs. Are these by Tiffany? Maybe, who knows? The only markings are a miniscule 285 (or 582) inventory mark scratched into each one. Whatever their origin, they are a beautiful and striking example of early 20th century craft and design. Take a closer look at these cufflinks at the Nine Caroline Antiques store.